The philosophy is so simple: fresh, real food is better for our families and ourselves. The power of fresh food has so many positive effects it’s hard to count them all. This week, our friend Dr. Katy gives us her 5 reasons why fresh is best for the whole family. Take it away, Dr. Katy! Fresh food tastes better! My dogs Papi and Eddie have always been great eaters, but I had never seen them be so excited for food as when they began to eat Freshpet Select Chicken and Vegetable rolls. The meals are made with ingredients that come from balanced, local sources, making for especially well-nourished and especially tasty ingredients. I know that I enjoy a meal of fresh ingredients much more than something from the shelf, and Papi and Eddie would agree! It keeps us looking and feeling great Foods like vegetables and fruits are rich with vitamins and antioxidants that make are wonderful for my family’s us feel like a million bucks every day. And, as we all know, the better we look, the better we feel. Fresh proteins and more fatty acids help promote smooth skin, help with muscle tone and it just makes us feel fantastic. It energizes us! One of the biggest differences that I notice when eating fresh food is how I feel after finishing a fresh meal. The food is highly digestible and nutrient dense, so my body easily turns the food into energy for me. And the same definitely goes for my kids and dogs. They’ve got levels of energy that they haven’t had since they were puppies. As far as Fresh Starts go, feeding them fresh food has been a huge difference. We feel healthy all the time There’s no such thing as a cure-all for sickness. But I believe that since making the commitment to feeding my whole family fresh food, we’ve all had less sickness and allergies to deal with. The ingredients in fresh food are jam-packed with nutrients that are healthy and strengthen our bodies to fight off illnesses and allergens. Feeding fresh food and keeping my family healthy is a choice I will make 100% of the time. I feel good about what I'm feeding my family There’s a great feeling that I get when I know that I’m nourishing my household with the best food available for them. It means that I’m taking good care of them by giving them meals that are tasty and will keep them healthy for a long time. I’m happy as long as my family is happy and healthy! Eating and feeding fresh has made all the difference in my family and countless others. And the best part is that it’s never too late for you to start! 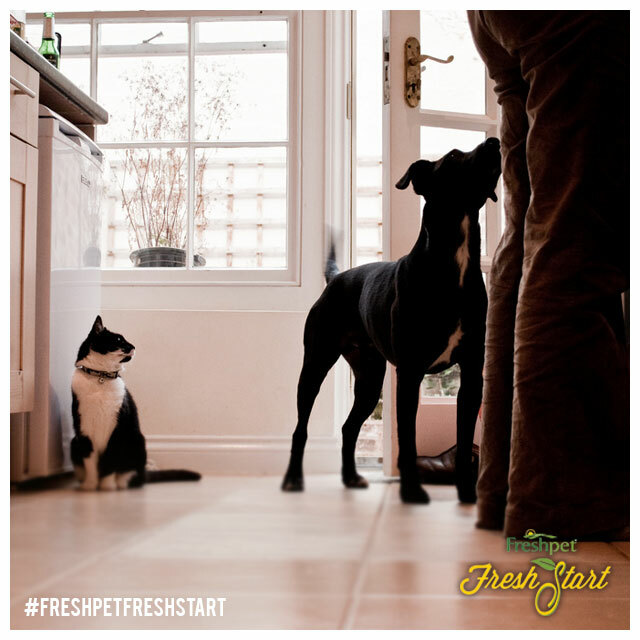 Visit the Fresh Start site to begin giving your pets fresh, natural food that they’ll absolutely love.